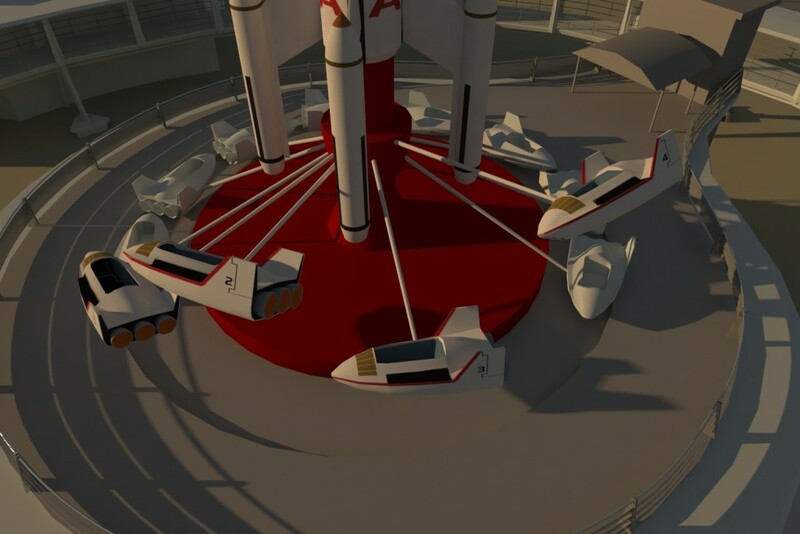 Here’s a link to videos I captured from the game engine of a ride sequence for the Star Jets. I wanted to fulfill a request to have the videos available for looping, like a TV fireplace video. The evening video was the original one (though this was completely recaptured), but I added a morning video as well just for fun. I have them in a Dropbox account, so if they decide it’s too much bandwidth I will see what I can do to find a place for them! They’re in MP4 format, and the downloaded versions look much better than the preview window ones that play on the Dropbox site. Let me know if you have any issues! A long time ago I had a dream. I dreamed of being able to relive the history of the Disney theme parks. To see them the way that I first saw them many years ago. 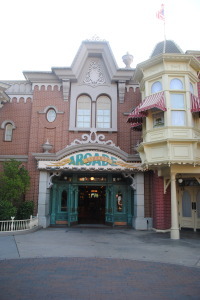 I think everyone has a favorite, special time from a Disney park that they treasure deep within their hearts. It could be the first visit. The first time you were there with someone important to you, or maybe the last. Maybe it’s just an attraction that clicked with you and has now been replaced with something new. If you fit that description, some part of it at least, I hope you will be interested in what I’m working on. If you have come over from the article on MiceChat you already have some idea what’s happening. If you’re just a fan of the site (and I love you for that! ), let me explain. 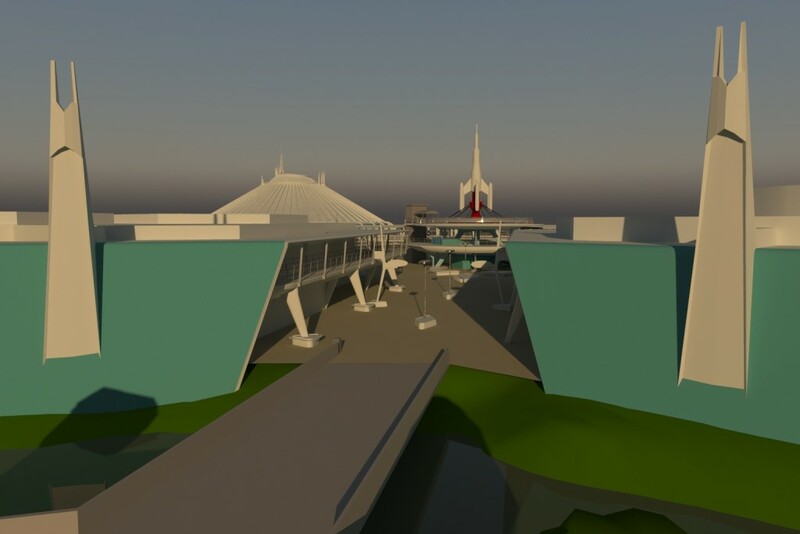 I am embarking on the recreation of Disney Parks at certain cross sections of time, but in dynamic form rather than static. 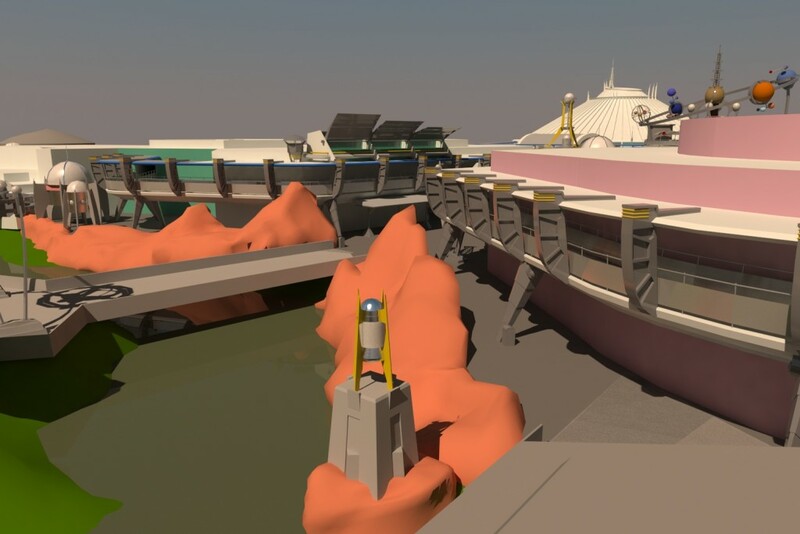 Using the platform of Theme Park Studio I am building the parks so that you can walk around and experience the attractions. 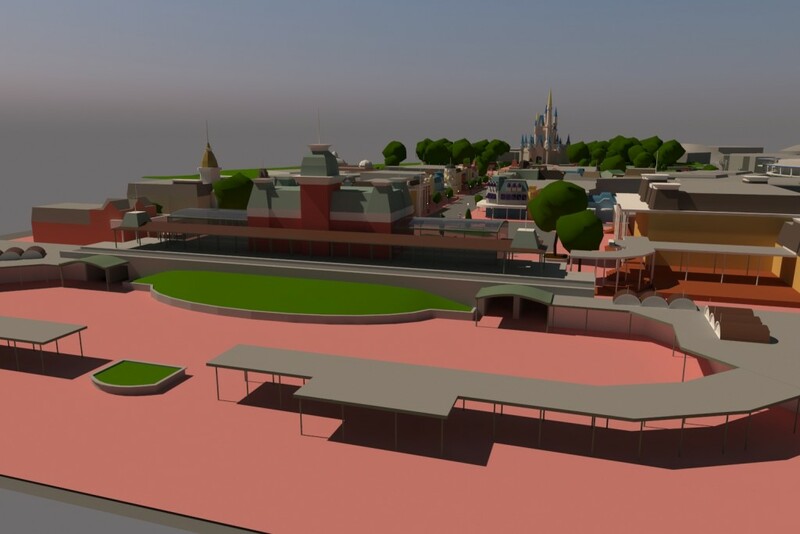 Using Theme Park Studios allows me to concentrate on the creation of the actual park buildings and vehicles rather than the task of programming, and hopefully make things move along quicker to you to experience. The actual purpose of me collecting all these maps and documents has been in the service of this goal to create an accurate historical representation. It just happens that other people like looking at that stuff, too. The Earchives have been building for this ultimate goal. But enough of me talking, you would probably prefer to see some of the work in progress so far. When I started out I wanted to work with something that I had a lot of reference material. I have been learning modeling skills during the course of the project and wanted a variety of object types to practice with. 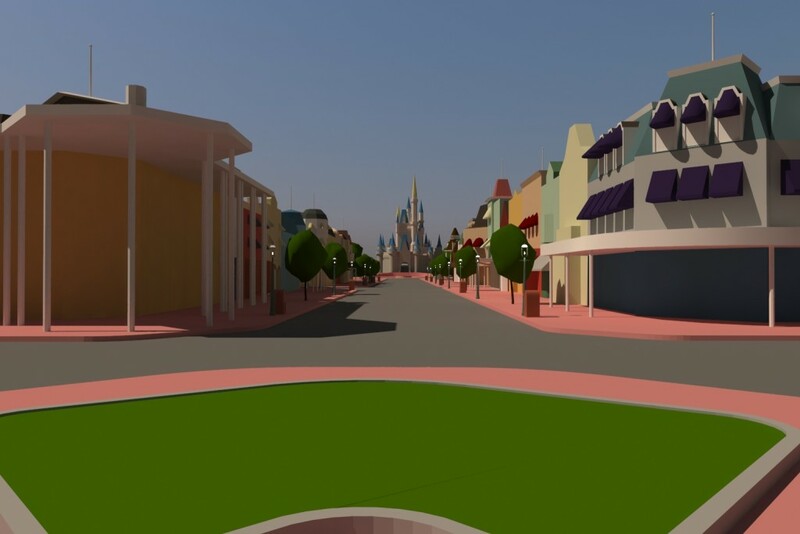 My first section was from 2013, modeling Main Street, USA. Keep in mind that the assets are meant to be used in a game engine rather than detailed static rendering, so details are sparse at this point. Generally objects have placeholder materials instead of textures so far. My favorite land in the Magic Kingdom has always been Tomorrowland, so that’s where the next leg of the project has gone. Again, based on the amount of references, I started with the 2013 version. From there I have moved back in time rather than in place. 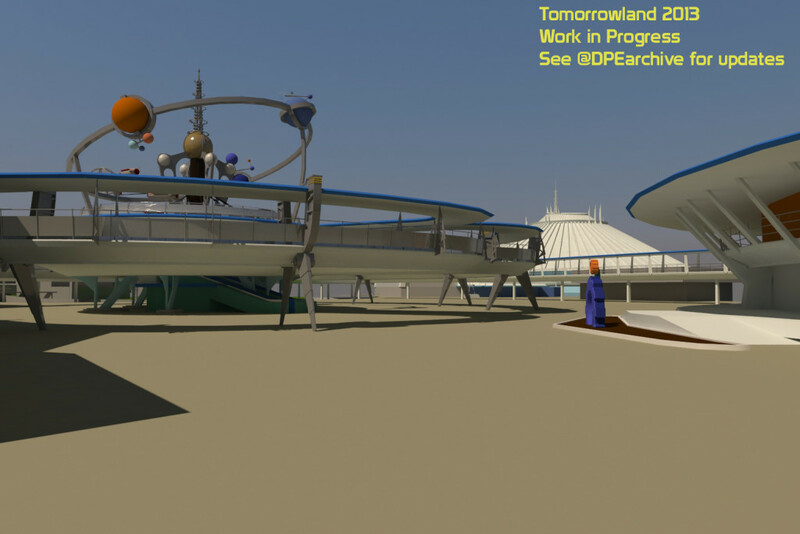 What you will see in the following shots is the first area that will be open for people to experience: Tomorrowland from 1979. This is partly because it’s an era that I loved, and partly because if you want to see modern Tomorrowland you can just go there now! 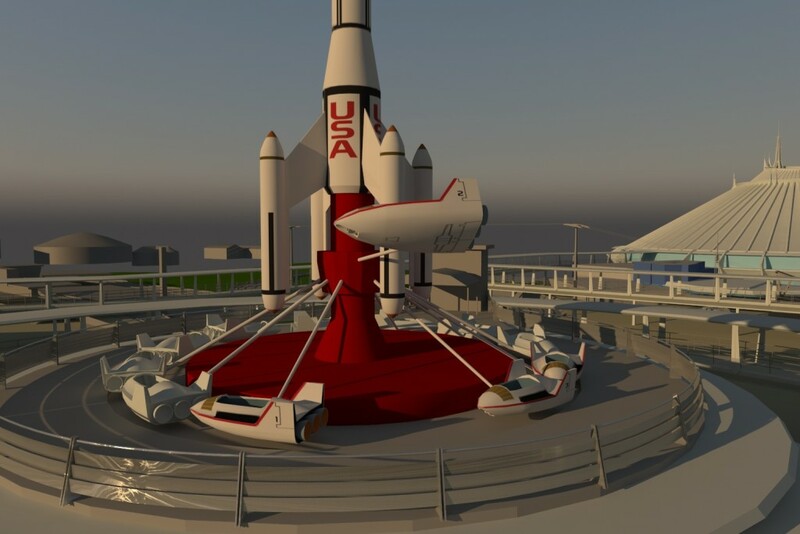 I love the clean lines of the old Tomorrowland, and especially the monolith towers that stood at the entrance. So there is just a glimpse into what’s going on here at the Earchives. I am so excited to share this labor of love with other fans of Disney and Disney history. As experiences reach completion I will be releasing them to you to enjoy and relive old memories. For now I’m planning on these releases to be whenever milestones are reached rather than 100% completion. My goal is to be as accurate as possible, so I welcome feedback from the community whenever you notice things that aren’t quite right. You might have even noticed things in those preview shots that were wrong…a lot of them I’m already working on but don’t hesitate to say something regardless. Most importantly all of this will be available free of charge, as a way of giving back to the Disney Parks history community. 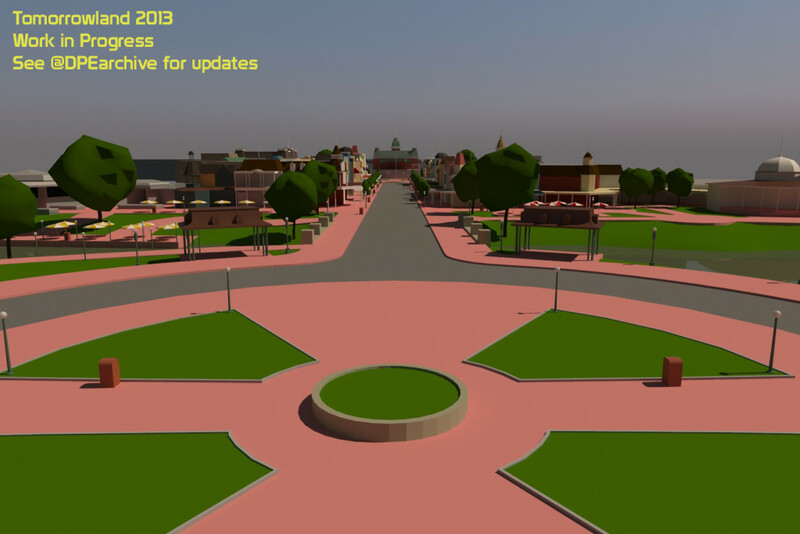 Up until now I have not said anything publicly due to the development calendar for Theme Park Studio, in particular the Live Parks module that allows an MMO type experience. 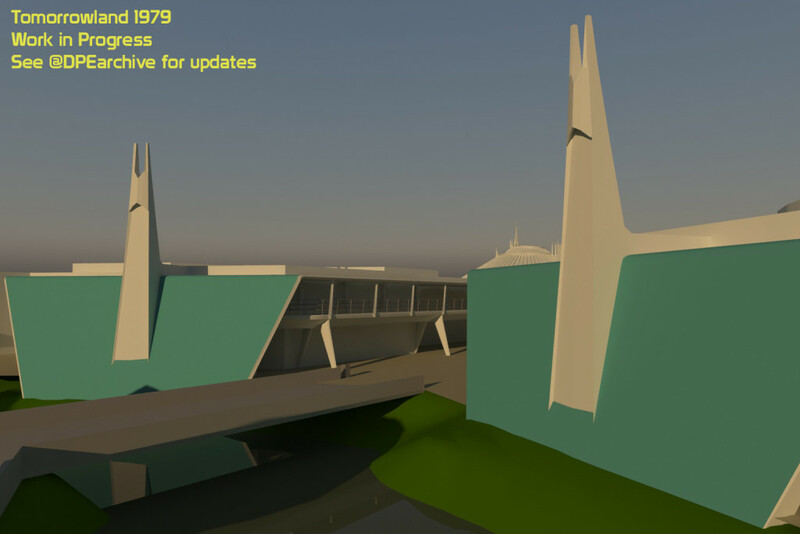 Now that the news is public I will be posting progress on a regular basis. Going forward most of the day to day development updates will be on the Twitter feed @DPEarchive, so if you want to keep abreast of the current state of the project that’s where you want to follow. I look forward to meeting you in the virtual Tomorrowland past! Lastly I would like to appeal to the community for any expert opinions and resources that are out there. The more we can get, the higher the fidelity of the finished product. Pictures, blueprints, audio, home movies, and any kind of insider documents are welcome and greatly appreciated. Please also share the project with anyone who you think might have an interest since the more people that see it, the greater chance we will run across that perfect reference that answers a nagging question. If you’re interested in helping out, drop me a line. In particular I appreciate any help if you have modeling, texturing or web site development skills. And if you love talking Disney Parks history, well, I love to do that any time! There’s a tremendous amount of work to do…I have no false pretenses on that account. But together we can truly produce a memorable, unique way to experience history. There is now the option to utilize a keyword search that looks through all the documents and maps in the Earchives. It has been a consistent request that I hope people will find useful. Every document added is processed to be fully OCR. Now you can look for any specific attractions, shows, shops and more! Just click the “Search” option from the menu bar and enter the search terms! So sorry about the delays lately on updating the site. Since Christmas I have been buried with getting prepared for a major certification renewal for work, and have been studying since then. But the test is now done (thank goodness) and I plan on getting back to updating and adding to the site. The first priority has been taking some HTML/CSS coding classes over at One Month. I have wanted to get better skills for some time now. Although the main site here is WordPress, I have coded all the search and results pages by myself. Some might say that part was obvious (LOL)! I’m hoping to apply what I’ve learned about HTML/CSS to the site very soon. I have to say that I’ve been really impressed with the lessons at One Month. The HTML course really helped bring an overall organization to writing web pages that I lacked from my self-taught, piecemeal education about HTML. By the way, I’m not being induced or compensated by them in any way. I will continue to post Earchive additions on Twitter in real-time, and you can check for new maps using the link on the right side of the page. I will be resuming the additions to The Earchive starting today. I was gone for most of a week, attending Destination D: Attraction Rewind, then wanted to spend time with my family for Thanksgiving. Now, I’m really excited, recharged, and ready to get back to offering you all more pieces of Disney theme park history. Speaking of history, Destination D: Attraction Rewind was an absolutely amazing experience! I can’t believe I had the opportunity to personally meet people like Bob Gurr, Marty Sklar and Tony Baxter. 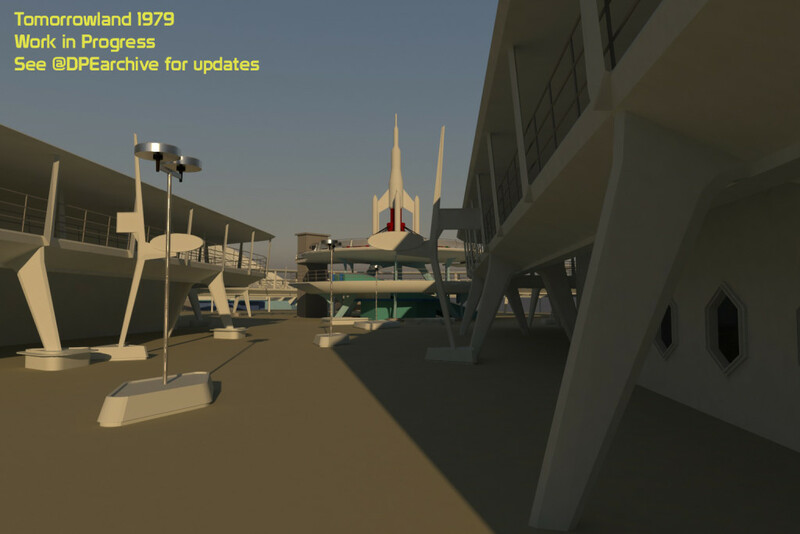 The presentations on the 1964 World’s Fair were really great, but I especially enjoyed the second day, where they talked about attractions at the theme parks, or in the case of Discovery Bay, lands and attractions never built. Thank you SO much to the D23 staff for putting on such a memorable event! BIG NEWS: Starting the online Documents/Ephemera collection! So you probably figured that a guy this obsessed with Disney theme park maps would probably have lots of other types of stuff in his collection, wouldn’t you? Well, you’d be totally right! I have so many vacation guides, timetables, other maps, cast member education, even ride operating guides! I have always wanted to share these with everyone as well, but the maps seemed like a good place to start. So starting right now, you can click on the newly added “Documents” menu item on the site to be taken to the online documents. There is also a counter on the right side of the home page as well, just like for the maps. As time goes on I will also add a “New Additions” link like the maps as well, so that you can just jump to the latest additions for the past 30 days. For now, they’re ALL added in the last 30 days…. I will be creating a similar search process for the items, like with the maps. For now it just shows everything, but that won’t be a problem until the online collection gets a bit bigger. Which it will–I literally have THOUSANDS of items that need to be scanned and added. And if you see an item duplicated, it’s not a mistake. The way the database is structured, I have to create a duplicate entries for items associated with multiple resorts. Once the results are categorized the duplicates won’t be visible. If you’re still reading, first: thank you! Second: If you have anything in your personal collection, I would love to be able to offer it an online home. Contributors are properly acknowledged, and I can even create a link to your own site or blog if you have one. My ultimate goal is to create an online archive that offers a central place for people to look when doing research or just revisiting happy memories. I would love to have your help in making that a reality for everyone out there in Internet-land! Celebrating the 500th Disney map milestone! So 500 sounds like a lot, doesn’t it? It’s amazing how a total can creep up while you’re not looking. If somebody put 500 maps in front of me to process, I would just get up and walk away from the overwhelming magnitude of the task. But taken little by little, it’s a fun-filled, educational experience instead. I still get excited as I open up each new map to find what they hold. Sometimes it’s a new or updated attraction, sometimes it’s a person’s handwritten notations that give a little glimpse into their vacation. I definitely owe huge thanks to the people that stuck with me when this collection was just a shared drive with really no organization at all. People like Jim and Dotty Hart as well as Arthur Na gave me the encouragement to keep pushing onward even when I was discouraged. I also have to thank my VERY understanding wife and family that supports and tolerates this obsession. It’s gotten to the point that any time the mail shows up with something that has an eBay mailing label, my 9 year old daughter scolds me that my wife is mad that I’m spending all the money on Disney auctions. Which she NEVER has, by the way! Lastly, I need to thank you people on the internet, wherever you might be. Even if you never email or leave a comment, just seeing the traffic numbers is encouraging itself. Anyone out there that has done a website, blog, podcast or published can attest to the fact that it’s scary to offer a piece of yourself. This site has definitely turned into a pretty big piece of me! I hope you will all continue to visit, and tell your Disney loving friends as well. I hope to continue adding to the site for a long time to come! Oh, and one more thing, be on the looking in the next couple of days for a major addition to the website, something that any respectable Disney lover should appreciate! 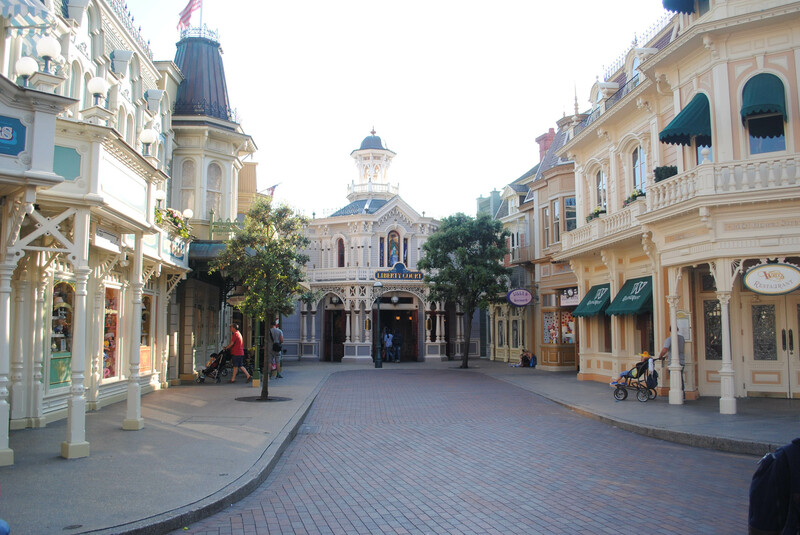 Continuing from where we left off last time, let’s go back down Main Street to the plaza inside the train station. 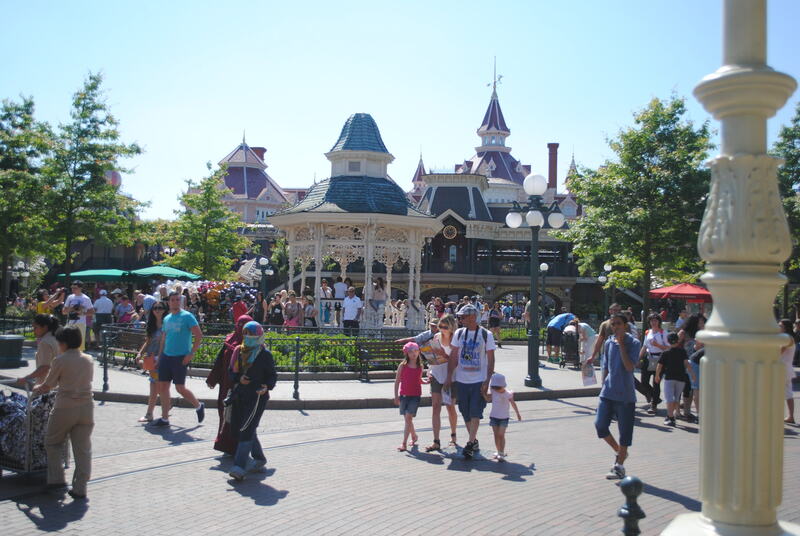 Here you see the band stand in the center of the Main Street loop, with the train station and the Disneyland Hotel in the background. 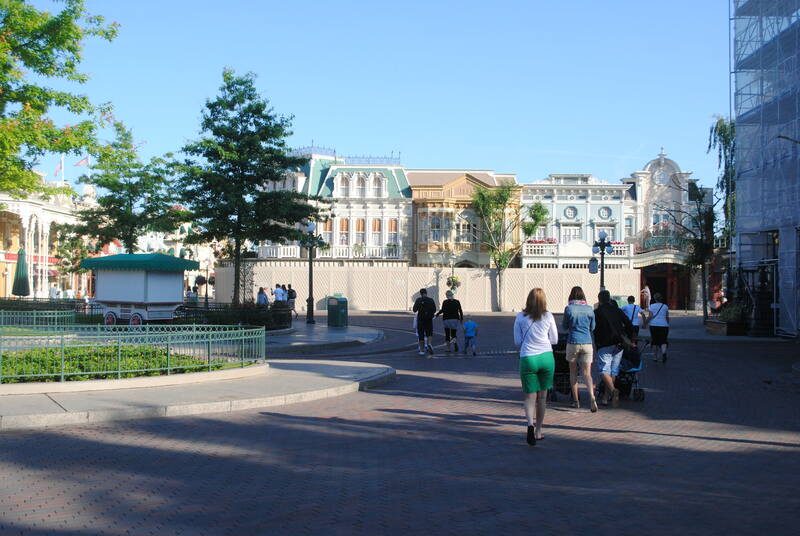 The east side of the plaza has buildings for the Main Street vehicles, stroller rental and restrooms. Unfortunately I don’t have a picture of those locations due to walls and scrims being in place for renovations. 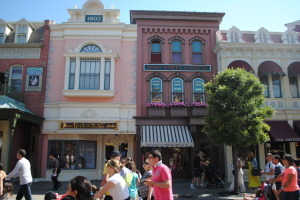 The left side of those buildings is the Bixby Babies Shop, pictured above. As you might expect, this store focuses on baby clothes and accessories. Next as you continue around is the Discovery Arcade south entrance, pictured on the far right of the photo. 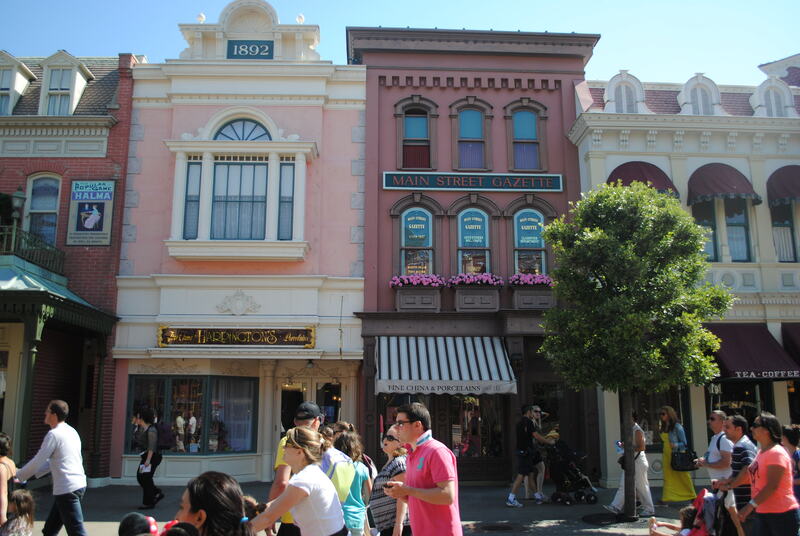 The other store fronts (covered by walls) include the Town Square Photography shop and the Boardwalk Candy Palace. The photography shop occupies the corner location on this side of the street. 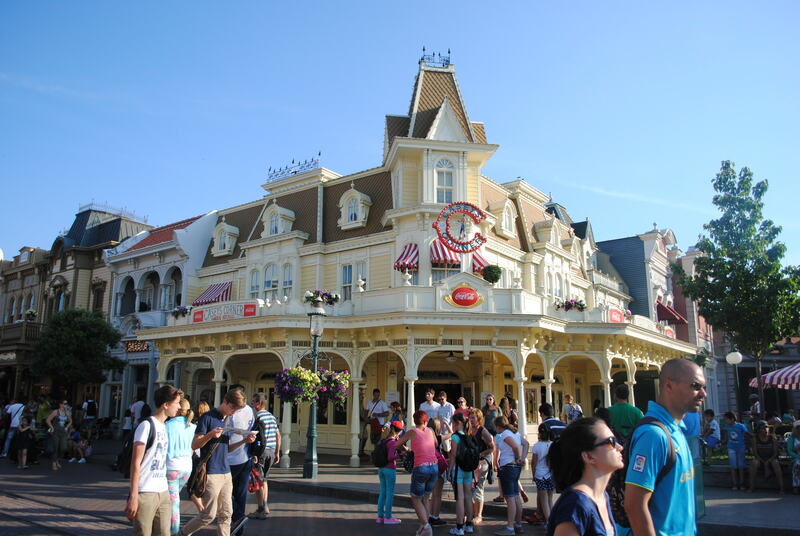 As you make your way past the Candy Palace (behind the scrims on the right side of the picture) the next shop is Disney Clothiers Ltd, offering more souvenirs and especially clothing for kids. The next facade is one of my favorites on Main Street at Disneyland Paris: Main Street Motors. I love how three dimensional the facade appears, as well as the vintage billboards above the shop. The story for this shop is that it is the town garage, which is reinforced by the red brick paving that goes from Main Street into the facade under the Auto Service sign. Alas, inside is just more clothes, primarily for adults at this location. East Center Street really only offers alternate entrances to the shops and restaurants along Main Street. There is also plentiful outdoor seating for the nearby quick service food locations. It’s also a great area to get away from the bustle of all the foot traffic along Main Street, and each time I went by there were not many people hanging around the area. 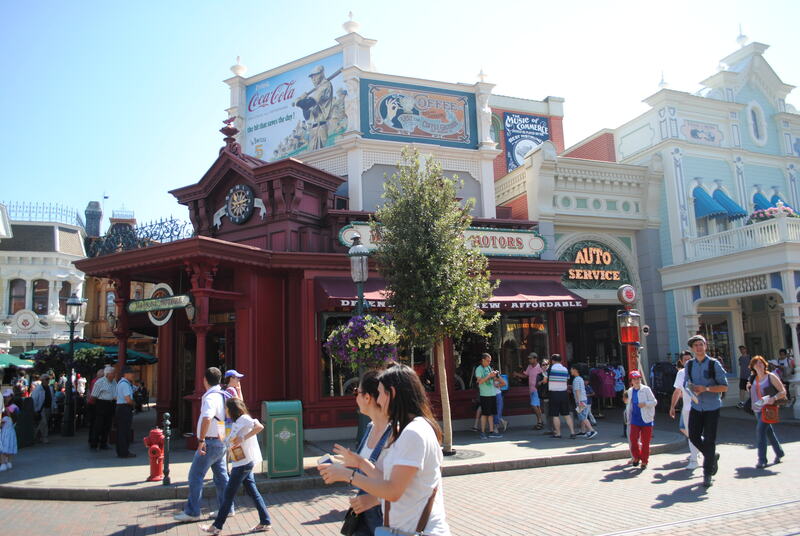 The Market House Delicatessen anchors the corner opposite Main Street Motors. This Quick Service dining location offers sandwiches and baked goods. The decor of the interior resembles a general store to some degree, with tin containers lining the walls and even a potbelly stove. You can also find the party line phones inside here! Continuing up Main Street you will find Harrington’s Fine China and Porcelains. This shop specializes in kitchen and cooking related souvenirs. It also has decorative items similar to Lilly’s across the street. 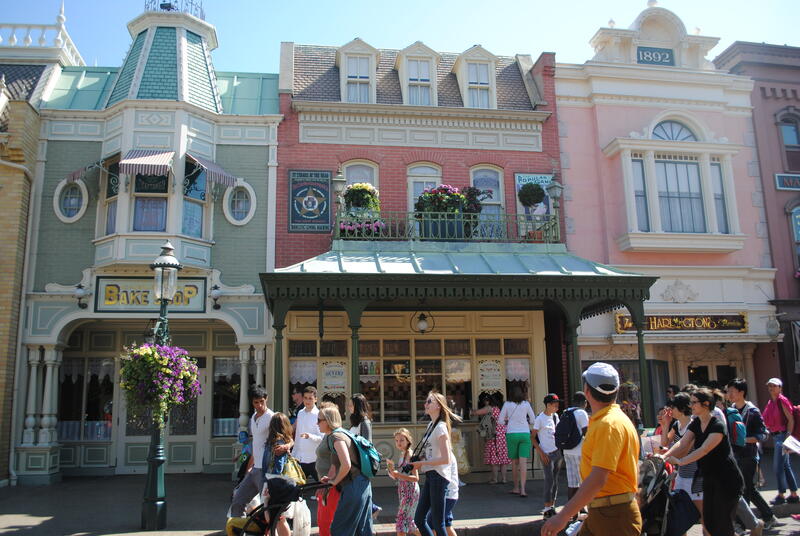 As you approach the end of Main Street, you get a couple opportunities to satisfy your sweet tooth. The first location you come across is the Cable Car Bake Shop. The shop offers cookies, donuts and other baked sweets in a Victorian setting. There is also a walk-up window if you’d like to grab something quickly. In the photo the entrance to the seating area is on the left, while the walk-up window is on the right. Be aware that the interior portion of the shop may not always be operating. 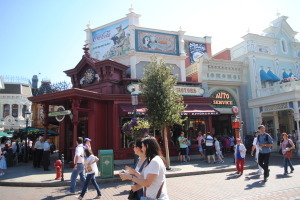 Last, but not least, you find the Gibson Girl Ice Cream Parlour at the end of the street. They offer the expected ice cream cones and sundaes. I was actually surprised that it is sponsored by Ben and Jerry’s rather than one of the European brands of ice cream! The left side of this building (the part with the second story balcony) is Victoria’s Home-Style Restaurant. This is a table service restaurant that offers pizza, hot sandwiches, and salads. Next up: Frontierland! I look forward to sharing the similarities and differences in the French take on the American Old West! Disneyland Paris, like all Magic Kingdom parks, starts you off with a representation of the century idealized American small town life. 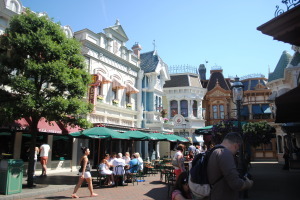 Also like the other parks, it allows you to experience a grand unveiling as you enter the park much like the opening act of a movie or theatrical production. 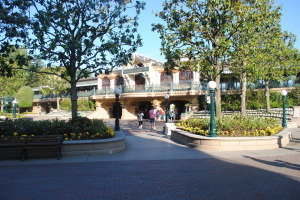 A major difference will strike you immediately: the entrance gates are actually on the ground level under the Disneyland Hotel. Entering this way is particularly striking, because the hotel is quite beautiful itself as well as the fact that a view of the park is completely hidden until after you enter. As you enter the main gates, the park is still somewhat hidden. 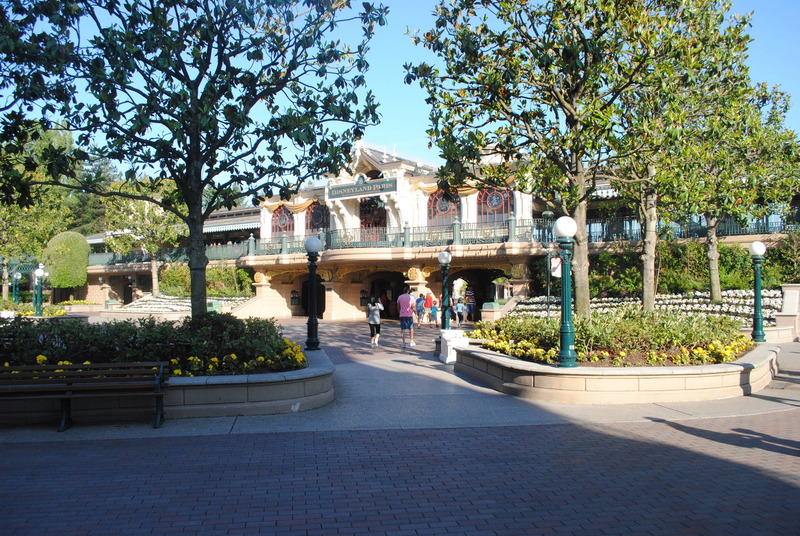 A small plaza sits on the far side of the gates, and you approach the Disneyland Railroad Main Street Station as you cross the plaza. Crossing the tracks via tunnels underneath, you get your first view of the park itself. 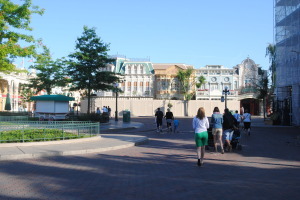 The layout is generally very similar to other Magic Kingdom parks, with a circular street on the entrance end, a long straight street, and terminating in another circular street at the hub. It has the center cross street here as well. 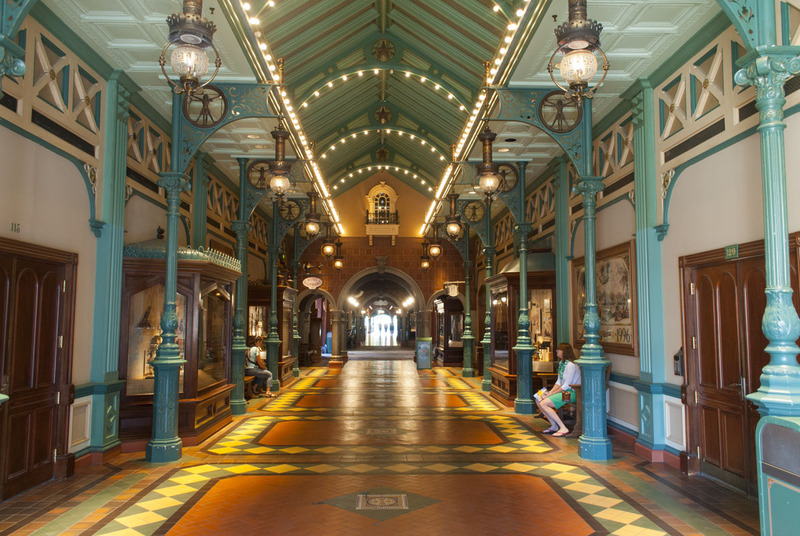 A major difference are the Liberty and Discovery Arcades…arcades in the traditional sense, not the kind with video games! 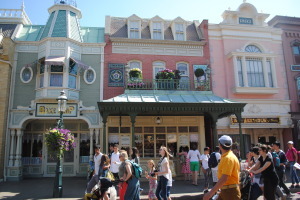 These covered walkways run parallel to Main Street, at the back sides of the shops. The Liberty Arcade is on the left as you enter (West) and the Discovery Arcade is on the right (East). All the shops have entrances to the arcades as well. The Arcades provide easy access to travel the length of Main Street while avoiding the bulk of the crowds, particularly if it is close to a parade time. They also provide great shelter in the case of inclement weather, something not unusual in Northern France. Let’s walk down Main Street and examine the locations on the West side of the street. 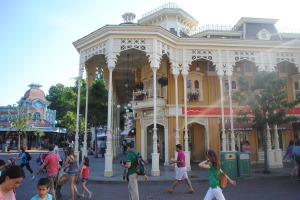 Starting in the train station plaza, you have the City Hall on your left, which has the same amenities and services found in every City Hall at other Magic Kingdom Parks. Attached on the right hand side is a small book store called The Storybook Store. On the left side of City Hall is the Arboretum, which is pretty much just the restrooms. 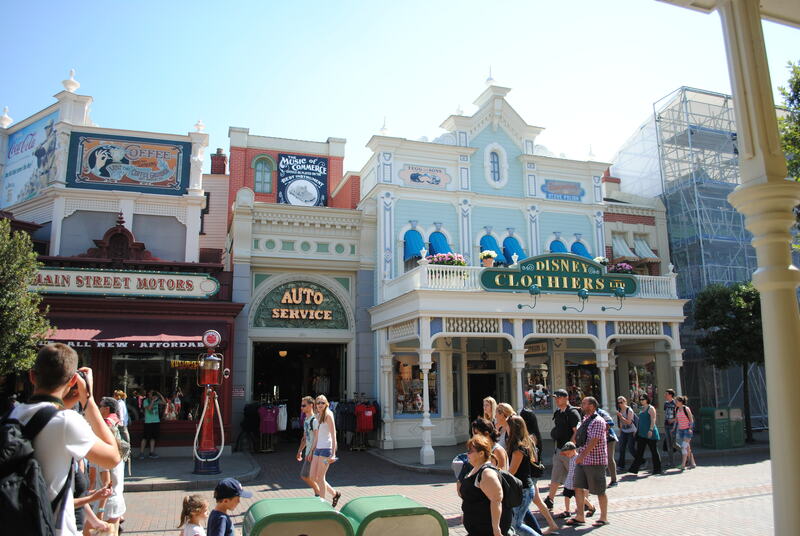 Continuing around the left side you have the South entrance to the Liberty Arcade, which gives you easy access to Frontierland and Adventureland, as well as the rear entrances to all the shops on this side of the street. 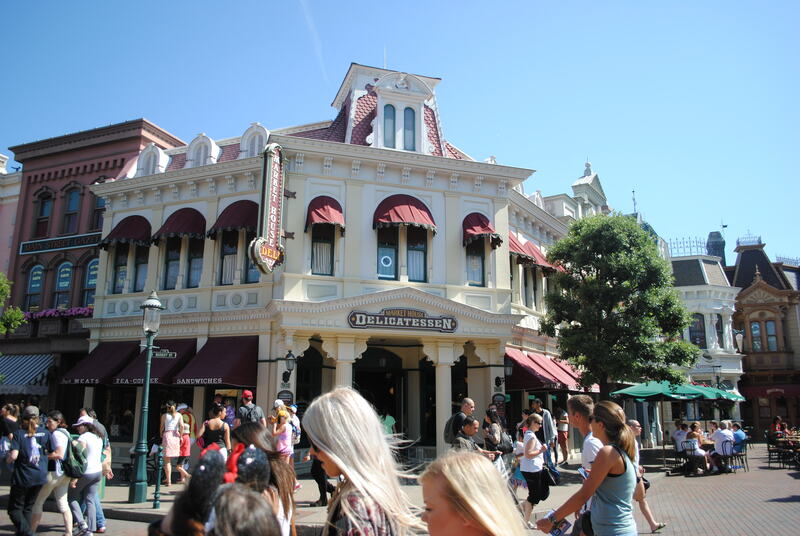 Next is a sight familiar to Disney Parks visitors around the world: the Main Street Emporium. Like its sister stores around the world, the store actually extends quite a ways up the street. Other facades, like the Main Street Gazette and Bixby Brothers, may look like different stores on the outside but are all part of the Emporium on the inside. 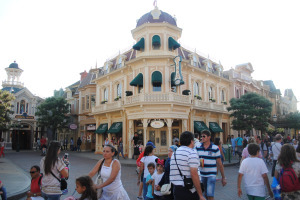 You will find all the typical merchandise, including clothes, plush items, and other souvenirs. 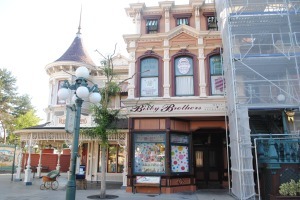 After Walt’s (at least on the street level) is another conjoined store, Lilly’s Boutique/Disney & Co., which is continuous on the inside and again offers an assortment of souvenirs. Lilly’s Boutique has a bit more of a focus on kitchen and cooking items. 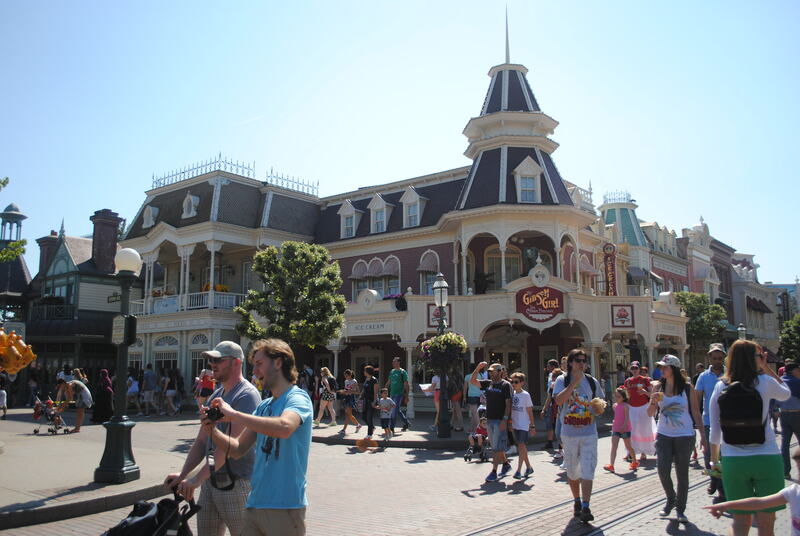 The last location on the West side of Main Street is another familiar location: Casey’s Corner. Like other similar locations, it offers a Quick Service menu that centers on Hot Dogs, Fries, and soft drinks. Betcha can’t guess what brand! The far side of the facades provides the North entrance to the Liberty Arcade. 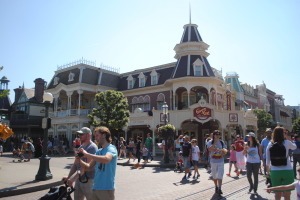 The next post will detail the East side of Main Street, and then we will progress around the park, examining the similarities and differences at Disneyland Paris. Feel free to leave questions or comments! After reflecting for a while on my trip to Disneyland Paris, I thought that it might be useful to offer some previews and forewarning about some of the differences between Disneyland Paris and the stateside parks. There are definitely some differences in culture and park operations that you might want to be aware of. They are not the kind of thing that would ruin a vacation, but might be helpful if you knew beforehand. Smoking is MUCH more prevalent. Americans have become accustomed to a fairly limited exposure to second-hand smoke with all the legislation about public smoking throughout the U.S. In Europe, however, smoking is still quite acceptable and many people do it regularly. This is never more apparent than waiting in the queue for an attraction, when many people will light up. Though there are designated areas for smoking, the policy is not enforced. 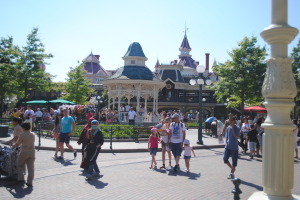 If you are especially sensitive to second-hand smoke you may want to reconsider a trip to Disneyland Paris. If you were to ask people to stop smoking, you would be going against the prevailing culture and would probably be frowned upon. C’est la vie! Lines move very slowly. I’m not totally sure why this happens at Disneyland Paris, but lines for attractions move at approximately half the speed of the parks in the States. We did notice that, on attractions where you could see loaded ride vehicles, it was common for them to leave half full or even empty on a regular basis. 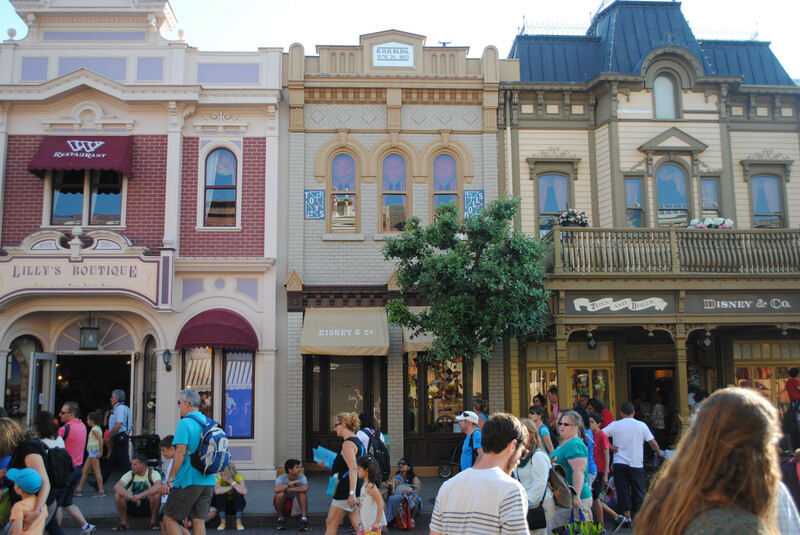 Cast members also do not seem to want to hustle or hurry guests either, even when the lines are approaching 60 minutes or more. Lines for Quick Service dining are even slower. For lunch one day, it took nearly 45 minutes from the time we entered the line until we paid, with about half that time between getting the food until paying. Needless to say, the food wasn’t that warm by the time we could finally eat. While you could try to eat at off-peak hours, we didn’t notice much difference in line length through the course of the day. 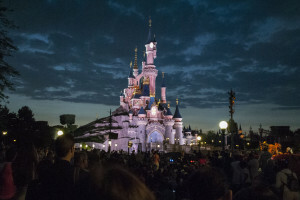 Fast Pass operates a little differently at Disneyland Paris. 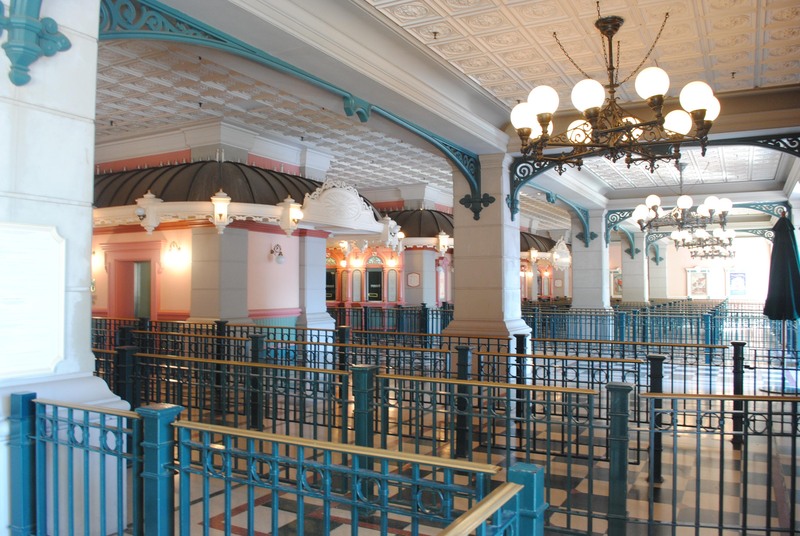 The Fast Pass return window is only 30 minutes, and the times tend to be strictly enforced. 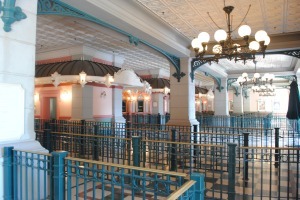 I frequently saw guests turned away at the Fast Pass Return entrance to attractions. While you may get lucky if you’re outside your window, I would generally recommend that expired Fast Passes are pretty much useless. Getting a Fast Pass may take as long as the standby ride wait. The Fast Pass machines operate a little differently than the old Disney World machines. Rather than a machine that takes the ticket inside and spits it back out, the Disneyland Paris machines are a card swipe type mechanism. They seem particularly sensitive to swipe speed and have a hard time processing the swipes. On top of that, people who have waited 30 minutes for a Fast Pass are definitely NOT going to just step aside when they have card troubles. They had to wait for one of the overburdened cast members to make their way over and wait until the cast member finally convinced the machine to give up a Fast Pass. 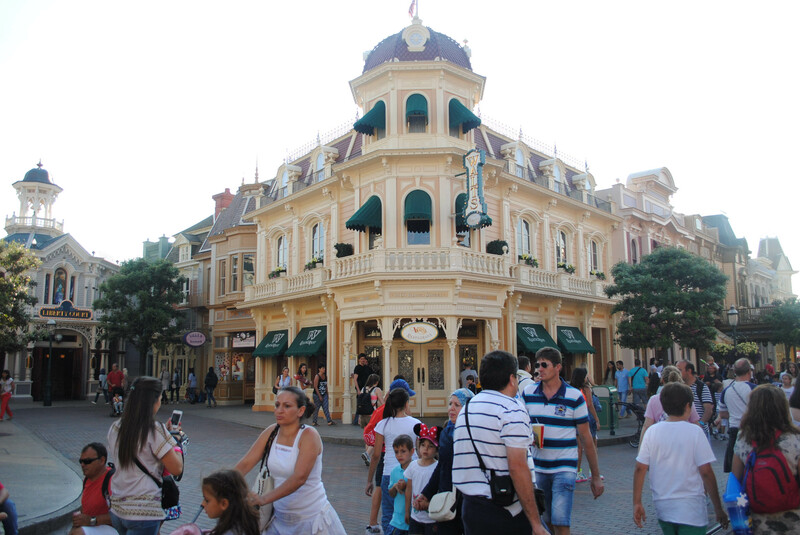 Plan 15-30 minutes to obtain a Fast Pass for the more popular attractions. You can get an “unlimited” fast pass if you’re staying on the equivalent of one of the Concierge levels at a Disney hotel. This gives you the ability to enter any Fast Pass entrance at any time, without getting a separate Fast Pass. 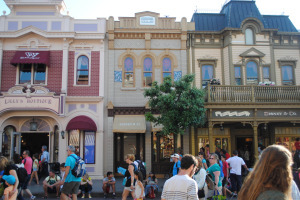 Keep in mind that even if your budget allows a room upgrade like that, there are relatively few attractions that utilize Fass Pass, limiting the benefit somewhat. 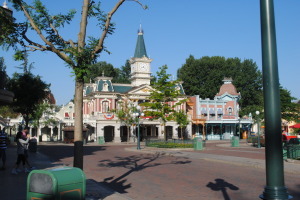 I want to reiterate that I’m not trying to be negative about Disneyland Paris. It really comes down to a cultural difference between France and the US. I feel that if you have some forewarning, you can expect and plan for these differences and enjoy your vacation better! Click Here To See New Additions! Copyright 2013 Disney Parks Earchive. This is a fan-based site that is not affiliated with the Walt Disney Company. All materials are copyright their respective owners.